The Damier Cobalt Brazza Wallet comes with new Damier Latitude design and now-known LV logo. If we add that it has been designed for America’s Cup Collection, you can get a better idea why this wallet will be sold out soon. Paired with silver-colored metal pieces, which are corrosion resistant and designed not to fade over time, the wallet looks great. 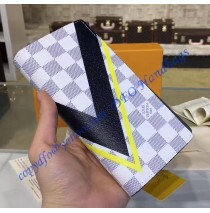 Pay attention to a small America’s Cup Collection logo on the wallet! With the 16 slots for credit cards, 1 slot for ID documents and 1 pocket for coins, the practicality is on a high level. 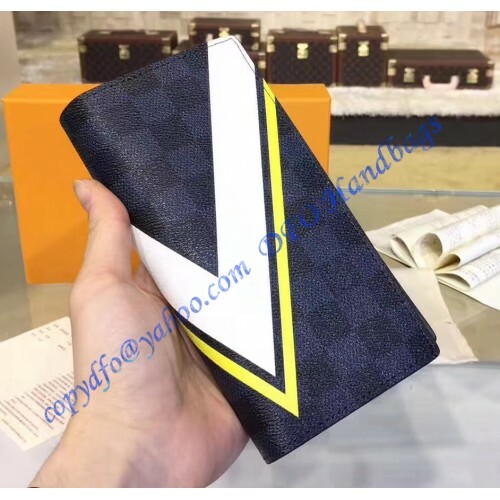 However, LV decided to make it even better, so there are 4 small compartments for bills and 1 large compartment for notes for documents. Dimensions are 7.5 x 3.9 inches, so you can get a better idea how great this wallet is. We liked the fact it is spacious inside and it also protects all the belongings perfectly. The material itself is chosen especially due to the feature which allows it to extend and therefore accommodate larger items while keeping the same size and shape of the unit. At the need, we must repeat that this is a desirable wallet that is made for a specific purpose and offers practicality you will definitely need. It will be your faithful companion for all your travels.